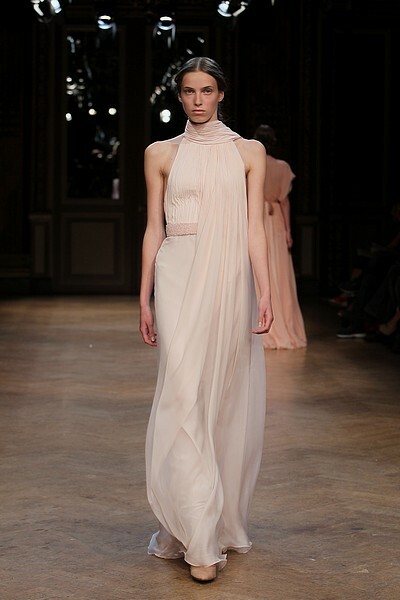 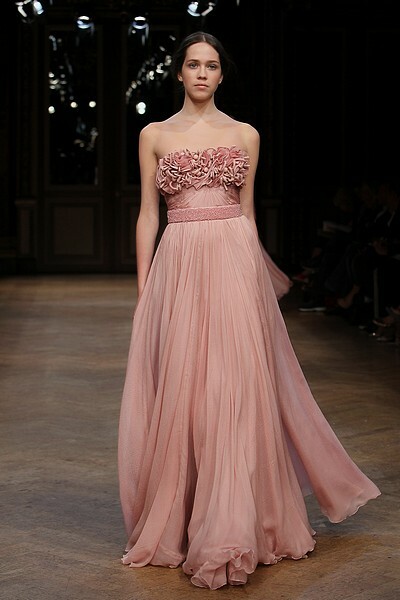 A personal favourite at Paris' couture showcase this year is Georges Hobeika's whimsical collection. 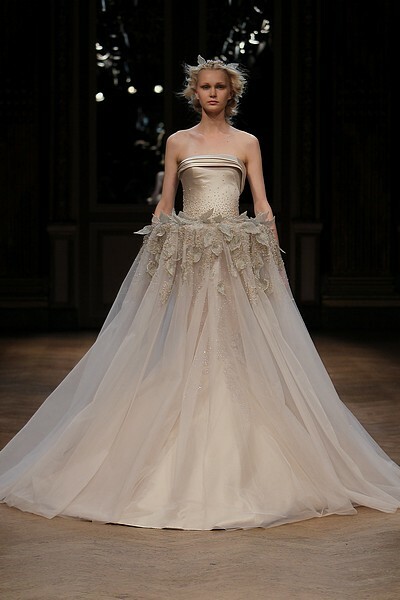 I love the corset bodices, cascading skirts and gorgeous details. 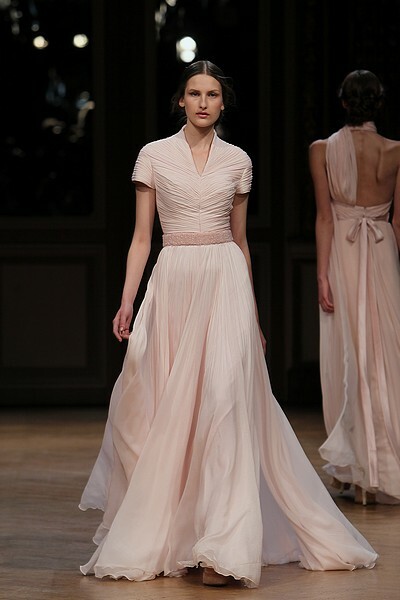 These dresses are so beautiful that they'll probably bring me to tears if I ever find myself in one of them.